Hiatt presumably thinks that the government’s decision not to impose double taxation is somehow akin to a giveaway. 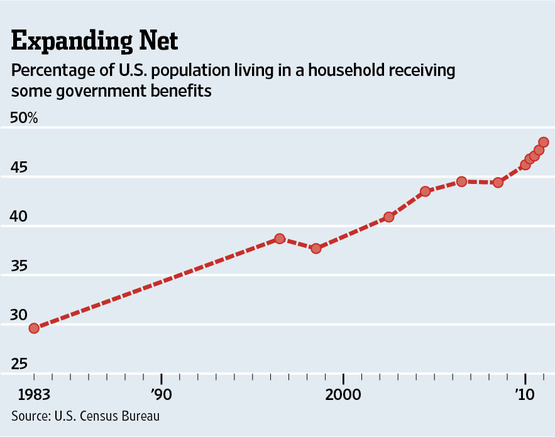 But that only makes sense if you assume that government has a preemptive claim to all private income. …Hiatt wants us the think that there’s no moral, ethical, or economic difference between giving person A $5,000 of other people’s money and person B being allowed to keep $5,000 of his or her own money. Today, I have a particularly absurd real-world illustration of this statist mindset. Did their list of 10 “handouts” include the Export-Import Bank, which lines the pockets of big corporations? Nope. Did it include agriculture subsidies, which provide unearned goodies for big agribusiness firms? Nope. Did it the TARP bailout, which shielded Wall Street fatcats from capitalism? Nope. And how about subsidized terrorism insurance, ethanol goodies, and green energy subsidies? Nope, nope, and nope. Or the handouts in Obamacare for major pharmaceutical companies and big insurance companies? Nope and nope. Instead, every single “handout” that the rich “get” from government is nothing more than a provision of the tax code that lets people keep more of their own money. I’m not joking. Here’s the list, followed by my two cents. As I’ve previously explained, I don’t think the tax code should be tilted in favor of residential real estate. 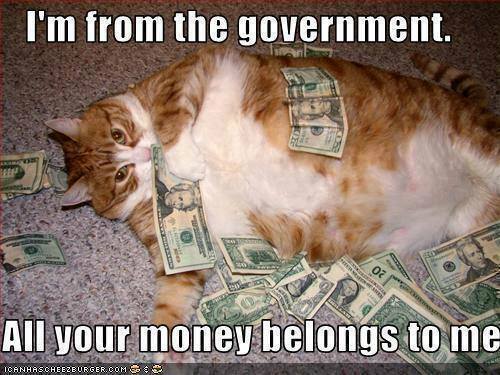 But a handout is when the government takes money from Person A and gives it to Person B. There actually isn’t a yacht tax deduction, but if you can live in something, it can be eligible for a mortgage interest deduction. I don’t think that’s wise tax policy, but it’s not an example of government taking from Person A and giving to Person B. The authors appear to be upset that people running a business get to subtract costs from gross income when calculating net income. But that’s exactly how businesses are supposed to be taxed. And even if one thought, for some odd reason, that gross income was the right tax base, this still isn’t an example of government taking from Person A to give to Person B. As just noted, businesses should be taxed on profits rather than gross receipts. Well, profits are the difference between total income and total costs, including the cost of business-related meals. And even if one thinks that folks in business are lying and mischaracterizing personal meals, they’re not spending other people’s money. No funds are being taken from Person A and being given to Person B. In a good tax system, there’s no double taxation of income that is saved and invested, so the capital gains tax should be abolished. As such, the “preferential” rate in the current system is more accurately characterized as a mitigation of a penalty. But even if one believes that saving and investment should be double taxed, a lower capital gains tax rate doesn’t take money from Person A to give to Person B. The death tax is triple taxation, so it also should be abolished. Regardless, letting a family hold onto its own money is not the same as taking from Person A to give to Person B. The government taxes gamblers on their net winnings (if any), which is the proper approach. And even if the government gave a deduction for net losses (which isn’t the case), this wouldn’t be an example of taking from Person A and giving to Person B. The Social Security system is supposed to be social insurance, and one of the implications of this approach is that there’s a limit on the benefits one can receive and the payments one has to make. As such, it’s silly to assert that the “wage base cap” is somehow improper. But even if one believed in turning Social Security into a pure redistribution scheme, the existing earnings limit simply means a cap on what the government takes. There’s no coerced handout from Person A to Person B. The bad news is that we have pervasive double taxation in the internal revenue code. The good news is that some forms of retirement savings, such as IRAs and 401(k)s, are protected from double taxation. That protection does not require any money being taken from Person A and given to Person B.
I’m not a fan of companies like H&R Block that benefit from an unfair and convoluted tax code. Under a simple and fair system like the flat tax, they would go out of business. But a deduction for tax preparation costs simply allows a taxpayer to keep more of his or her income. There’s no handout from Person A to Person B. In case you didn’t notice, there’s a strong moral component to my argument. The leftists think you’re getting a handout if you get to keep more of your own money. And it’s also economically illiterate when applied to provisions of the tax code that make sense, such as companies getting to subtract expenses when calculating taxable income. Or individuals not being subjected to double taxation. P.S. 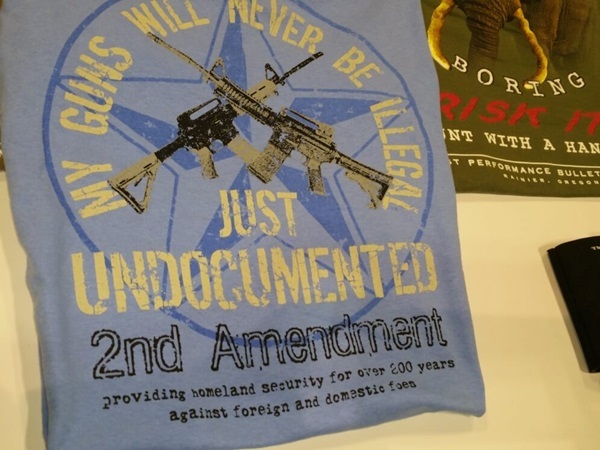 Here’s some pro-Second Amendment humor, which cleverly uses the left’s “undocumented” terminology for illegal aliens and applies it in a much better fashion. And if you like pro-gun humor, you can find lots of good links by clicking here. P.P.S. Since I mentioned immigration, here’s a fascinating graphic that shows immigration trends over the past two centuries. There’s no policy lesson of philosophical point. I just think this graphic is very informative and well designed. But if you want my two cents, I like immigration but want to make sure we attract people who want to work and assimilate rather than scroungers (and worse) who want welfare and handouts. Question of the Week: What’s More Worrisome, Big Brother Monitoring Where You Drive or Big Brother Controlling How You Drive? If you don’t like the NSA collecting and monitoring all your communications, you probably won’t be thrilled about new technologies that will give government power to monitor where you drive and control how you drive. Let’s look at a couple of options and then ponder which is more offensive. We’ll start with government monitoring of where you drive. Here’s part of what Holman Jenkins wrote for the Wall Street Journal. …the real threat to our autonomy gathers speed. “Autonomous” vehicles are part of the threat—because they won’t be autonomous at all. This column has warned for years about plate-recognition cameras, increasingly armed with face-recognition capabilities, that will make it impossible to go anywhere or do anything in public without being monitored. …The population is aging. An older, more timid society is likely to be in favor of penning up fellow citizens in a mesh of monitoring to regulate routine behavior. The authoritarianism of the weak, always a problem in society, will find an ally in the bureaucracy’s craving for resources. Holman cites a few examples. 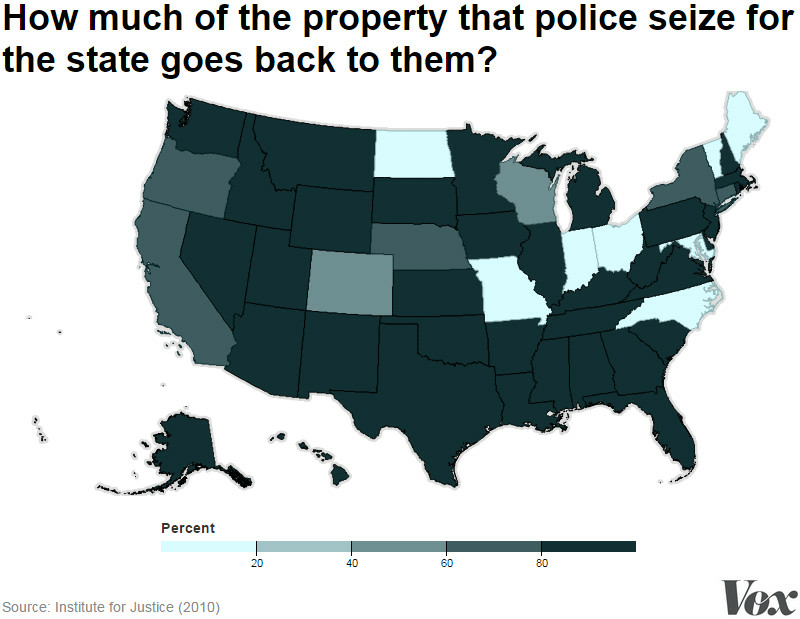 Traffic cameras…overwhelmingly ring up drivers for offenses that wouldn’t trouble a cop. New Jersey is just the latest state scandalized by discovery that yellow lights are set below the state minimum in order to yield more red-light camera tickets. …In some future discrimination or hate-crime lawsuit, will vehicle records be called up to show you locked your doors in a minority neighborhood but not in a white neighborhood? Will the state decide to raise your ObamaCare copays because a face-recognition camera also recognized a cigarette dangling from your lip? When our every action in space and cyberspace can be monitored and policed, we no longer police ourselves to any meaningful extent. We become not citizens but children. The state is our parent. The real threat is that many of our fellow citizens will like it this way. This sounds very Orwellian and very bad, but there are other ways for government to make driving an unpleasant experience. Let’s see what the UK-based Daily Mail is reporting about an obnoxious European proposal to give government control over your gas pedal. Drivers face having their cars fitted with devices that slam on the brakes if they go over the speed limit, under draconian new road safety measures being drawn up by officials in Brussels. All new cars would have to include camera systems that ‘read’ the limits displayed on road signs and automatically apply the brakes. And vehicles already on the road could even be sent back to garages to be fitted with the ‘Big Brother’ technology… The EC’s Mobility and Transport Department hopes to roll out the ‘Intelligent Speed Adaptation’ technology (ISA) as part of a new road safety programme. And how will this big-brother system work? I’m glad people from the Automobile Association are warning that the system poses risks, but opposition should be based on more than utilitarian arguments. How about the freedom to be left alone and not monitored and pestered while you travel? But let’s set that issue aside and contemplate whether it’s worse to have the government track where you drive or worse to have the government control how you drive. Maybe this makes me a bad libertarian, but I’m not overly worried about the first option. Perhaps this is because I have a relatively staid life. I drive to work and I drive to softball. Every so often, I drive to the grocery store or to an airport. The bureaucrats tracking me would go crazy with boredom. Heck, I’d probably feel some pressure to spice up my social life simply because I’d feel sympathy for them. Maybe they’ll force us to drive green cars? By contrast, I would be very irritated if the government got control over my accelerator. It’s already annoying that revenue-hungry local governments and anti-automobile greenies conspire to set speed limits considerably below safe and efficient levels. But at least there’s very little risk if you drive within 10 miles of the limit and you always have the choice to drive even faster if you’re willing to take a chance that some random cop will pull you over. But if the government imposes some system that forces my car to stay within the speed limit, I won’t be a happy camper. I’ll be very curious to read the comments for this post. In the meantime, I’m going to close with a few optimistic words. Simply stated, government may have the technology to spy on us, but that doesn’t mean they have the brains, ability, or manpower to make much use of this power. Money laundering laws are a good example. It’s rather offensive that the government has set up a system that forces banks and other financial institutions to spy on all of our financial transactions. But other than imposing high costs on the financial sector, this system doesn’t have much impact on the average person. To be sure, some poor people lose access to the financial system. And, yes, there are horror stories about people who have their accounts frozen because they’ve engaged in an unusual transaction, but most of us will live our lives without ever noticing that the government has created this Orwellian regime. Likewise, I don’t think the monitoring and collection of traffic data will impact our lives. At least not until the point the government uses its power in some of the ways described by Holman Jenkins. But I don’t think that’s going to happen anytime soon. I’m also somewhat hopeful that car-control technologies won’t get abused. At least not right away. Local governments, for instance, would probably oppose a system to control travel speeds for the simple reason that they want to maintain the revenue from speeding tickets. Moreover, I bet many Americans would rise up in revolt if the government tried to take control of our gas pedals. Politicians who pushed for such a scheme would lose election and bureaucrats who tried to impose such a system via regulation would get slapped down. We’ve lost some of our freedoms and fighting spirit, but there are some lines the government still can’t cross. Driving faster than the government allows is as American as apple pie. P.S. Speaking of American traditions, what about the young (and not-so-young) people who sometimes do a bit of romancing while in their cars? Maybe the bureaucrats (motivated by this Obama-NSA joke) will insist that we also install internal cameras in our vehicles. What Was the Most Tragic Policy Development of 2012? I’m not sure I could pick out a significant victory for human freedom in 2012. Maybe I’m missing something, but the only good policy that’s even worth mentioning was the decision in Wisconsin to rein in the special privileges and excessive compensation for government workers. But there definitely have been lots of sad developments. The hard part is picking the most disappointing story. 1. Was it the craven decision by John Roberts to put politics before the Constitution and cast the deciding vote for Obamacare? This certainly could be the most disappointing event of the year, but technically it didn’t represent a step in the wrong direction since the Supreme Court basically gave a green light to unlimited federal power back in the 1930s and 1940s. The Obamacare case is best characterized as a failure to do the right thing. A very tragic decision, to be sure, but it maintained the status quo. 2. Was it the lawless decision by the Internal Revenue Service to impose a horrible regulation that forces American banks to put foreign law above U.S. law? This was a very bad development in the battle for tax competition, financial privacy, and fiscal sovereignty. But in the grand scheme of things, it’s just another in a long line of policies (such as FATCA) designed to increase the power of governments to impose and enforce bad tax policy. 3. Was it the Japanese government’s decision to double the value-added tax? I’m definitely not a fan of adding a VAT on top of the income tax, but Japan made that mistake years ago. The choice to increase the tax rate just shows why it’s dangerous to give politicians any new source of revenue. So this isn’t the worst policy development of 2012, particularly since the new Japanese government may suspend the tax hike. 4. Was it the delusional decision by 54 percent of California voters to impose a big, class-warfare tax hike? I thought the vote for Prop 30 was a very troubling development since it signaled that voters could be tricked into enacting class-warfare tax policy, even though they should have realized that more revenue for the state’s politicians would simply exacerbate the eventual fiscal collapse. But since I think this will be a learning experience on what not to do, I can’t put this at the top of my list. 5. Was it the French government’s punitive decision to impose a 75-percent top tax rate? This is a spectacularly misguided policy, and it’s already resulting in an exodus of entrepreneurs and other successful people. But just as I enjoy have California as a negative role model, I like using France as an example of bad policy. So it would be a bit hypocritical for me to list this as the worst policy of 2012. 6. 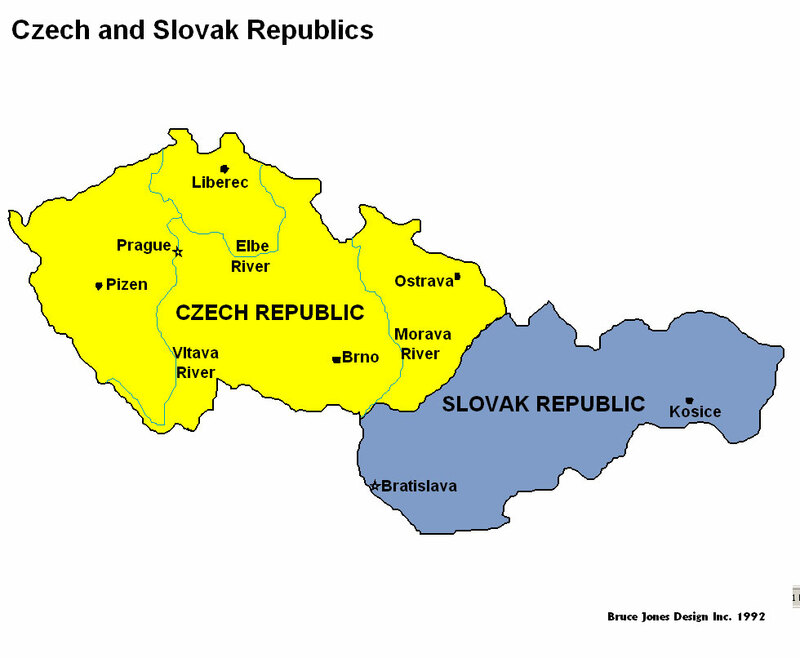 Or was it the envy-motivated decisions by politicians in both Slovakia and the Czech Republic to replace flat tax systems with so-called progressive tax regimes? This is a strong candidate for the worst policy of the year. It’s very rare to see governments do the right thing, so it’s really tragic when politicians implement good reforms and later decide to reinstate class-warfare policies. All things considered, I think this last option is the worst policy development of 2012. To be sure, I’m a bit biased since my work focuses on public finance issues and I’ve spent 20 years advocating for tax reform. But I think there’s a strong case to be made, by anyone who believes in freedom, that politicians from Slovakia and the Czech Republic deserve the booby prize for worst public policy development of 2012. Alvin Rabushka, sometimes referred to as the Father of the Flat Tax , summarizes the grim news. On December 4, 2013, the center-left parliament of Slovakia modified the country’s historic 19% flat-rate tax… Effective January 1, 2013, the income tax rate for corporations was raised from 19% to 23%, while that on individuals earning more than €39,600 (€1=$1.30) a year was raised to 25%, thereby creating two brackets of 19% and 25%. …On November 7, 2012, the lower house (Chamber of Deputies) of the national parliament approved a proposal to impose a second higher rate of 22% on annual income exceeding Czech Koruna (CZK) 100,000 ($5,200) per month. President Vaclav Klaus signed the bill on December 22, 2012, which will take effect on January 1, 2013. What’s especially depressing about these two defeats is that the supposedly right-wing parties deserve the blame. In Slovakia, all but one of the right-leaning parties in the old government decided to support the Greek bailout, leading to the collapse of the government and the election of a new socialist government that then sabotaged tax reform. And in the Czech Republic, the current right-of-center government decided to scrap the flat tax for “fairness” reasons. I’m sure that will really be comforting to the Czech people as the economy suffers from less growth. To understand what the people of those nations are losing, here’s my video on the flat tax. Now for a bit of good news. There are still more than 25 flat tax jurisdictions in the world, including two of my favorite places – Hong Kong and Estonia. So there are still some pockets of rationality. It’s just very unfortunate that the scope of human liberty is getting smaller every year. P.S. The absolute worst thing that happened in 2012, if we look beyond public policy, was Georgia falling 4 yards short of beating Alabama in the Southeastern Conference Championship. P.P.S. Speaking of sports, the best thing about 2012 occurred in Virginia Beach back in October.